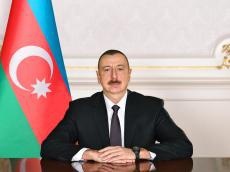 President of Azerbaijan Ilham Aliyev signed a decree to establish the Azersilah Open Joint Stock Company on Jan. 14. The company is being established on the basis of the Azerbaijani Ministry of Defense Industry. The Azerbaijani Ministry of Defense Industry will continue to work until the state registration of Azersilah OJSC. Azersilah OJSC is a commercial legal entity which, by using advanced technologies, manufactures and exports weapons, organizes sales of weapons within and outside the country, as well as an entity coordinating the activity of enterprises based on modern standards of management and corporate governance and carrying out other work to develop the industry.